Having sparkled white teeth can be of a challenge sometimes. It sometimes happens that you brush twice a day, floss a day and keep your teeth healthy yet you get a tinch of yellowness in your teeth. • Drinking wine, carbonated drinks, black tea or coffee frequently can stain your teeth with time. The reason is pretty simple, what’s dark from outside will cause darkness when consumed. • Another most important reason for tooth discoloration is smoking. If you are a smoker then you will for sure face the problem of tooth discoloration. The stains caused by smoking are hard to remove and therefore, the smokers are always advised to take proper care of their teeth and follow a healthy oral health routine. • If you are on medication, then you might experience the problem of yellow teeth. In addition to this, the excessive intake of fluoride in children can be a reason for yellow teeth in the future. • Having poor oral hygiene is another cause of getting yellow or stained teeth. This is because when we eat some amount of color of the curry get stuck to our teeth. But regular brushing and rinsing clear that out making teeth whiter. So, if you are not following even the basic regime then you are can get yellow teeth. In addition to the pointers mentioned above, one can also get yellow teeth if they have thin enamel. Tooth enamel is the hardest substance of your body and below that, we have dentin which is a pale brown substance. If the enamel is thin then the dentin will be exposed which will then appear as a stain or yellow substance on your teeth. Another reason for having yellow teeth is dry mouth. The saliva in the mouthwashes away the acid present in your mouth. Having dry mouth decreases the flow of saliva thus not working on the acid which causes yellow teeth. There are many ways of getting rid of yellowness but the most effective is teeth cleaning and teeth bleaching. It is always advised by the dentist to get scaling & polishing done to your teeth after every six months. This is important because even if you brush or floss regularly there are certain areas where even your floss does not reach. Hence there is a plaque build-up which needs to be washed away. Scaling & polishing helps in getting away with this plaque accumulation making your teeth clean. And keeping your teeth clean is important to have whiter teeth. • Professional Teeth-Whitening – As the name suggests this is done in the dental clinic by your dentist. Your dentist applies a bleaching agent to your teeth and a special lasers or lights are used to enhance the process of bleaching. You can discuss with your dentist and decide the shade of your teeth that you wish to have. 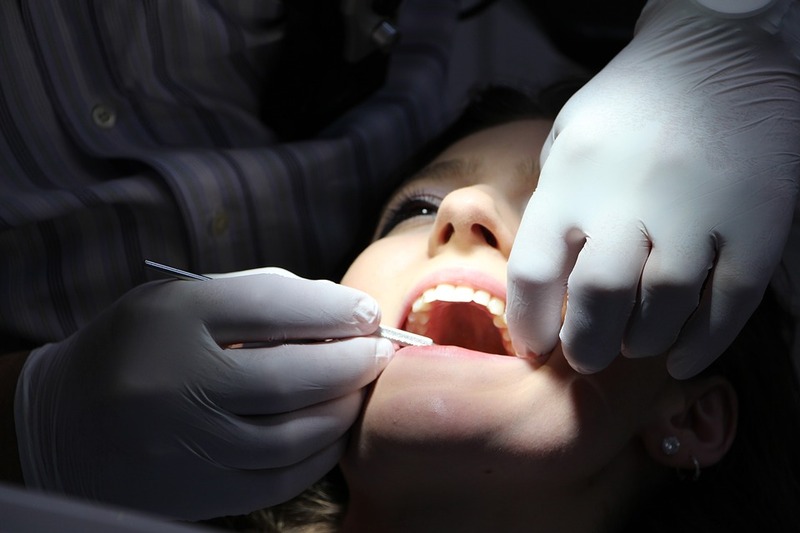 The result of this procedure is accurate to what is decided in the beginning. • At-Home Whitening – These are whitening procedures that can be taken care of at home. Over-the-counter whitening strips can also be used for having whiter and brighter teeth. These strips have a whitening gel that when applied to your teeth make it whiter. But it is advised to consult your dentist before going ahead with it. So if you really want to get rid of yellow or stained teeth then look for your nearest dental clinic or search for teeth whitening options near you.